DNA and amino acid changes are tracked and indicator flags will appear over modified portions of the sequence. (Figure 1.12.1.1). Figure 1.12.1.1: Blue flags indicate changes. Upon a mouse over, these flags will show a tooltip displaying the user responsible for a change, the time and date of the edit as well as details describing the change itself (Figure 1.12.1.2). 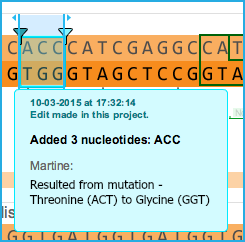 Figure 1.12.1.2: Track Change tooltip showing a mutation.